—Dutch, van meaning "from", der meaning "the", berg meaning "mountain". 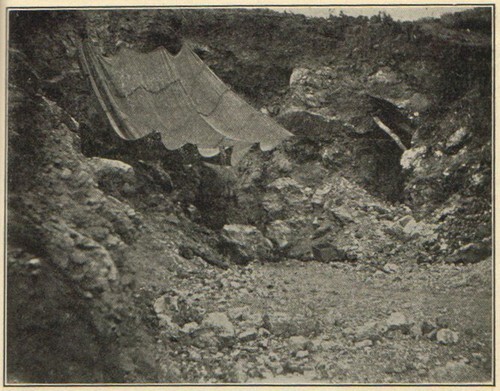 The Vanderberg mine is located in the SE4 Sec. 24 T9S R2W SBM; about 2.3 miles (3.7 km) east-northeast of Pala. The main workings are in the center of the Vanderberg pegmatite dike, which strikes northward and dips about 40 degrees west. The dike is exposed along the crest of Hiriart Mountain for more than 3000 feet. The deposit has been a source of spodumene, beryl, quartz, and tourmaline. The Vanderberg was located on April 22nd of 1902 as one of the Sickler group of claims, located near Pala, San Diego County, California, in the Peninsular Range, at an elevation of about 1600 feet. The north-northeast trending unpatented lode mining claim which was bordered on the west by the unpatented White Queen and Sempe lode claims, and on the south by the patented Hiriart lode. 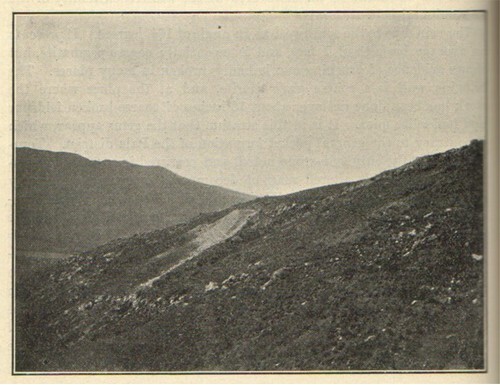 This was the northwestern-most claim of the group of lode mining claims filed by Marion M. Sickler on Hiriart Mountain during the period from 1901 to 1904 (see US Mineral Survey 5391A). The deposit was worked for precious gemstones. Not long after the date of the Vanderberg location, the surrounding vacant public lands were temporarily withdrawn and removed from mineral entry under the United States land and mineral laws pursuant to Secretarial Order dated January 24, 1903. This order was a temporary withdrawal pending acquisition of all private inholdings, including valid existing rights, for the benefit of the Pala Tribe, under Indian tract allotment pursuant to the Act of January 12, 1891. In 1905, Kunz reported approximately 5 pounds of kunzite had been mined by Sickler from the Naylor-Vanderberg. The mine was also noted as a source for the decorative stone known as Orbicular Gabbro. By 1906, Kunz reported that the mine had been penetrated by a tunnel nearly 200 feet long, which cut the main vein in the two mines. Kunz reported lithium beryl, kunzite, and a transparent green spodumene as the primary mineral production, and mentions the occurrence of a rare "ferro-manganic phosphate of purple color". On August 27th, 1938, Marion M. Sickler deeded the mine to his son Fred for 1 dollar and 'love and affection'. Fred eventually sold the mine to George Ashley in 1947. In 1949, George Ashley mined approximately 2000 pounds of colorless and smoky quartz crystals, with one reported to weigh in at more than 100 pounds. 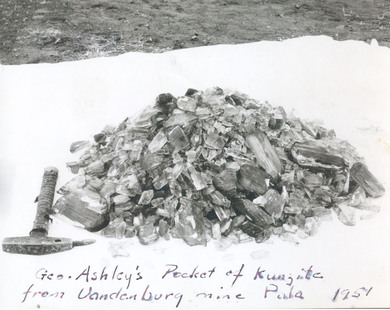 In 1951, Ashley discovered a pocket in the dike from which he removed about 130 pounds of pink, green and blue gem-quality spodumene. Ashley sold the mine in January of 1957, although little work was actually accomplished until the claim was purchased by Norman E. Dawson of San Marcos around 1966. 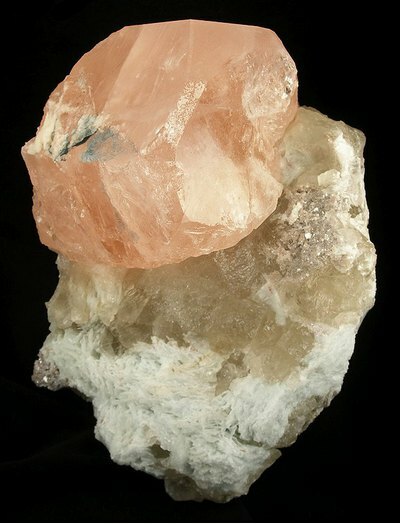 Dawson subsequently worked the deposit and produced around 12 kg of high-quality kunzite, along with some morganite and large smoky quartz crystals. In 1983, a series of pockets containing elbaite-foitite tourmaline crystals were discovered by Phil Osborn of Hemet, just below the road and to the southeast of the main workings on the Vanderberg dike. 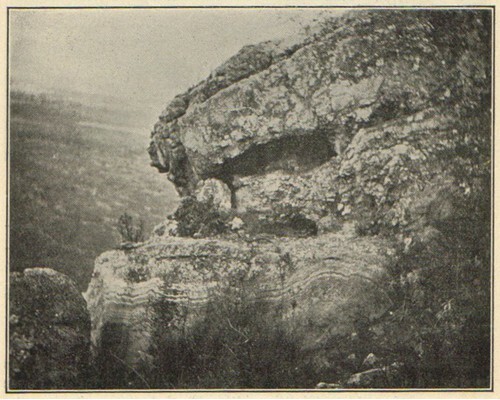 This location is at an elevation of approximately 1440 AMSL, near a spot along the ledge captioned by Kunz in 1905 as "Naylor Rock". 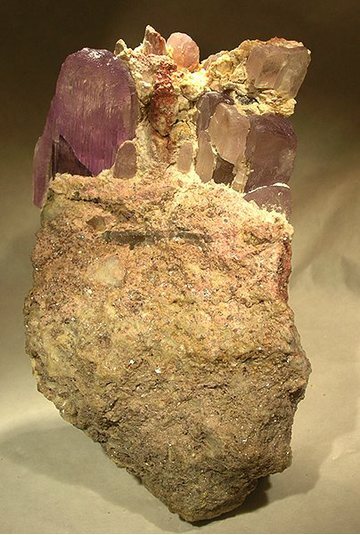 Several kilos of small loose tourmaline crystals of gem quality were recovered, typically grading in color from a dark purple to a greenish blue at the basal pyramid, including several samples on matrices of cleavelandite and microcline with quartz. In the early 1990's the Secretary of the Interior, through the delegation to the Bureau of Land Management (BLM), investigated the bona fides of the mining claim to determine any encumbrance of an allotment application (trust patent) filed by the Bureau of Indian Affairs on behalf of the Pala Tribe on June 19, 1980. The Vanderberg claim was adjudicated and in 1992 it was declared abandoned and invalid from the beginning, or void ab initio. The land is now managed for the benefit of the Pala Band of Mission Indians by the Bureau of Indian Affairs (BIA). 1. The northeast corner of the Vanderberg lode was separated by a 336 feet from northwest corner of the K. C. Naylor lode at their closest proximity (see US Mineral Survey 5391A). The Naylor-Vanderburg name association was not actually a contiguous deposit, but a loose reference to the north end of the more-or-less contiguous group of lode mining claims generally referred to as the Sickler group, and later as the Ashley group, and lastly as the Dawson group of unpatented lode mining claims. Reference: Osborn, P. 2007. Description of the Naylor Rock location and Foitite discovery on Hiriart Mountain by Phil Osborn of Hemet, Riverside Co., California. Personal communication with S. L. Ritchie; 7/27. Reference: Kunz, G. F. 1906. The Production of Precious Stones in 1905. Department of the Interior, U.S. Geological Survey, Division of Mining and Mineral Resources. GPO, Washington: pages 26-27; 40 pp. Reference: Fisher, J. 2002. Gem and rare-element pegmatites of southern California. 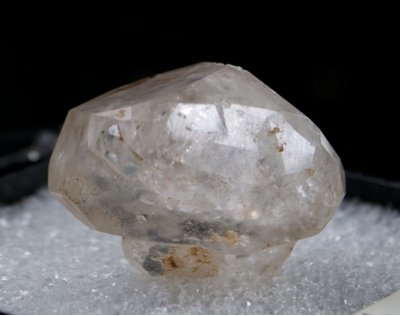 Mineralogical Record 33(5): 363-407. Colour: Dull black on crystals faces; bright submetallic luster on freshly broken surfaces. Description: Ferrocolumbite forms tabular crystals, generally no more than 1/4 inch thick and 1 inch by 1 inch in plan. The principal faces of most of the crystals are flat, but some very thin and broad crystals are markedly curved. Many of these platy individuals are 1/16 inch or less in thickness and as much as 4 inches in maximum dimension. They occur in radiating groups. 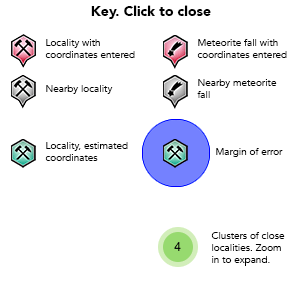 A few crystals are more equant, and appear as subhedral to euhedral "chunks" 1/2 inch to 6 inches in diameter, with an average of about an inch. Reference: Jahns, R. H. and Wright, L. A. (1951), Gem and Lithium-bearing pegmatites of the Pala District, San Diego County, California. California Division of Mines special report 7A: 39. Reference: Jahns, R. H. and Wright, L. A. (1951), Gem and Lithium-bearing pegmatites of the Pala District, San Diego County, California. California Division of Mines special report 7A: 31, 39. Colour: White, buff-colored and very pale pink. Description: Cookeite is a rather widespread pocket species, and ordinarily forms a coating on crystals and crystal aggregates of quartz, lepidolite, spodumene, albite, and orthoclase. It forms white, buff-colored and very pale pink aggregates of small plates and flakes. Reference: Jahns, R. H. and Wright, L. A. (1951), Gem and Lithium-bearing pegmatites of the Pala District, San Diego County, California. California Division of Mines special report 7A: 31, 40. Reference: Schaller, W. T. (1911d), Orbicular gabbro from Pala, San Diego County, California: Amer. Chem. Soc. Jour., vol. 33, p. 162-166. Reference: Weber, F. H. 1963. Geology and mineral resources of San Diego County, California. California Division of Mines and Geology, County Report 3: pages 99, 105; illus., maps. Description: Phenakite forms both flat, colorless crystals with sharply defined faces, and subhedral masses that are distinctly milky. 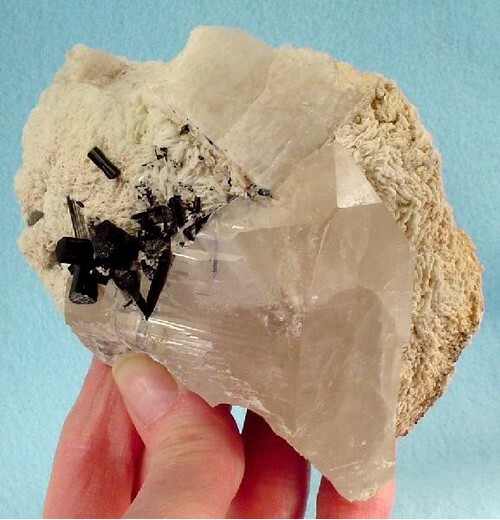 It is associated with very small crystals of white to pale-blue topaz, and both minerals are attached to the exposed edges of large cleavelandite aggregates in the pocket pegmatite. 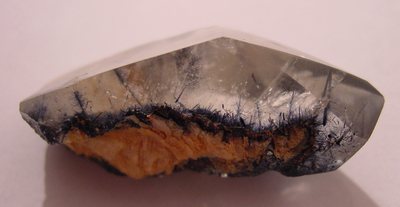 None of the phenakite crystals exceeds 1/2 inch (12.7mm) in dimension. Reference: Jahns, R. H. and Wright, L. A. (1951), Gem and Lithium-bearing pegmatites of the Pala District, San Diego County, California. California Division of Mines special report 7A: 31, 38. Habit: Forms coatings and minute platy to needle-like crystals. Colour: Earthy, gray to yellowish-orange to yellow-brown. Description: Pucherite (bismuth vanadate) forms an earthy, gray to yellowish-orange coating on fractures in quartz, bismuth, and bismuthinite. Where individually recognizable the pucherite forms minute platy to needle-like crystals of gray to yellow-brown color. Reference: Jahns, R. H. and Wright, L. A. (1951), Gem and Lithium-bearing pegmatites of the Pala District, San Diego County, California. California Division of Mines special report 7A: 38. Reference: Kunz, George Frederick (1906), Precious stones: Mineral Resources U.S., 1905: 1344; Murdoch, Joseph & Robert W. Webb (1966), Minerals of California, Centennial Volume (1866-1966): California Division Mines & Geology Bulletin 189: 346. Reference: Fisher, J., 2002, Mineralogical Record, 33(5), 363-407; Weber, F. H. 1963. Geology and mineral resources of San Diego County, California. California Division of Mines and Geology, County Report 3: pages 99, 105; illus., maps. Reference: Weber, F. H. 1963. Geology and mineral resources of San Diego County, California. California Division of Mines and Geology, County Report 3: p. 114; illus., maps. Reference: Kunz, George Frederick (1906), Precious stones: Mineral Resources U.S., 1905: 1344; Murdoch, Joseph & Robert W. Webb (1966), Minerals of California, Centennial Volume (1866-1966): California Division Mines & Geology Bulletin 189: 346; Fisher, J., 2002, Mineralogical Record, 33(5), 363-407; Weber, F. H. 1963. Geology and mineral resources of San Diego County, California. California Division of Mines and Geology, County Report 3: p. 114; illus., maps. ; Weber, F. H. 1963. Geology and mineral resources of San Diego County, California. California Division of Mines and Geology, County Report 3: pages 99, 105; illus., maps. Reference: Kunz, G. F. 1905. Gems, jeweler's materials, and ornamental stones of California. California State Mining Bureau bulletin 37: pages 86, 129-132. Reference: Pemberton, H. Earl (1983), Minerals of California; Van Nostrand Reinholt Press: 178. Colour: Brownish outer surfaces; distinctly resinous, splintery appearance on freshly broken surfaces. Description: Manganotantalite forms rather thickly tabular crystals with slightly brownish outer surfaces and a distinctly resinous, splintery appearance on freshly broken surfaces. Description: Very small crystals of white to pale-blue topaz are associated with colorless crystals of phenakite, and both are attached to the exposed edges of large cleavelandite aggregates in the pocket pegmatite. Habit: Tabular and fracture-filling masses with rough faces; cleavage is fairly well developed. Colour: Deep-tan to dark reddish-brown on freshly broken surfaces; resinous luster. Description: Triplite occurs sparingly in the Vanderberg-Katerina pegmatites, where it is associated with lithiophilite and triphylite. It forms crystals with rough faces, measuring 1/4 inch to 5 inches in diameter, with an average of about an inch. The mineral also occurs as tabular, fracture-filling masses within quartz, and rarely within coarse quartz-spodumene or quartz-perthite varieties of pegmatite. Most crystals are heavily stained with manganese oxides, and many are coated with a blue-gray film of very finely crystalline vivianite. 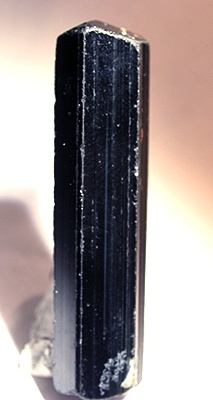 The vivianite appears to have been derived from the triplite crystals. Reference: Jahns, R. H. and Wright, L. A. (1951), Gem and Lithium-bearing pegmatites of the Pala District, San Diego County, California. California Division of Mines special report 7A: 31, 41. Description: A blue-gray film of very finely crystalline vivianite coats many triplite crystals. The vivianite appears to have been derived from the triplite crystals. Comments: Mostly small exposures of gabbro and diorite scattered in western Klamath Mts., Sierra Nevada, Coast Ranges, Mojave Desert, and Peninsular Ranges Original map source: Saucedo, G.J., Bedford, D.R., Raines, G.L., Miller, R.J., and Wentworth, C.M., 2000, GIS Data for the Geologic Map of California, California Department of Conservation, Division of Mines and Geology, CD-ROM 2000-07, scale 1:750,000. Description: Massive, coarse-grained, dark-gray and black biotite-hornblende-hypersthene gabbro. Dana, E. S. (1892), System of Mineralogy, 6th. Edition, New York; Appendix 3 (1915), by Ford, W. E.: 72. Kunz, G. F. (1905), Gems, jeweler's materials, and ornamental stones of California. California State Mining Bureau bulletin 37: pages 86, 129-132. Kunz, G. F. (1906), The Production of Precious Stones in 1905. Department of the Interior, U.S. Geological Survey, Division of Mining and Mineral Resources. GPO, Washington: pages 26-27; 40 pp. Kunz, George Frederick (1906), Precious stones: Mineral Resources U.S., 1905: 1344. Schaller, W. T. (1911d), Orbicular gabbro from Pala, San Diego County, California: Amer. Chem. Soc. Jour., vol. 33, p. 162-166. Wheeler, H. V. (1917), Field notes of the survey of the mining claims of Marion M. Sickler, known as the El Molino, Fargo, Hiriart, K. C. Naylor, and Vanderberg Lodes; and El Molino Mill Site; in Sec 24-25, T9S, R2W, SBM. USDI, Surveyor General's Office, Mineral Survey No. 5391A-B: 1 plat. Kennard, Theodore Gladden & Rambo, A. I. (1934), The extraction of rubidium and cesium from lepidolite American Journal of Science, 5th series: 28: 102-109. Milner, A. H. (1948), Famous Gem Mines Reopened. Rocks & Minerals Magazine 23(6): 517. Jahns, R. H. and Wright, L. A. (1951), Gem and Lithium-bearing pegmatites of the Pala District, San Diego County, California. California Division of Mines special report 7A: 72 p.
Weber, F. H. (1963), Geology and mineral resources of San Diego County, California. California Division of Mines and Geology, County Report 3: p. 114; illus., maps. Murdoch, Joseph & Webb, Robert W. (1966), Minerals of California, Centennial Volume (1866-1966): California Division Mines & Geology Bulletin 189: 242, 346. Rynerson, F. J. (1967), Exploring and mining for Gems and Gold in the West. Happy Camp, California: Naturegraph Publishers, Inc.: pages 8, 14-19, 42. Sinkankas, J. (1976), Gemstones of North America. Vol. 2. Van Nostrand Reinhold, New York, 494 p.
Bancroft, P. (1984), Gem and crystal treasures. Fallbrook, California. Western Enterprises/Mineralogical Record, Inc., pages 98-110. Bancroft, P. (1989), Gem Mining in San Diego County. Environment Southwest, San Diego Natural History Museum, Number 525, pages 14-20. Todd, W. R. & Waiwood, R. M. (1996), Mineral Report: Validity Examination of the Katerina Lode; Bureau of Land Management, United States Department of the Interior, Oct. 30; 71 p., maps/plats, photos, legal/technical data. Fisher, J. (2002), Gem and rare-element pegmatites of southern California. Mineralogical Record 33(5): 363-407. Osborn, P. (2007), Description of the Naylor Rock location and Foitite discovery on Hiriart Mountain by Phil Osborn of Hemet, Riverside Co., California. Personal communication with S. L. Ritchie; 7/27. Mauthner, M. H. F. (2011), The History of Kunzite and the California Connection. Rocks & Minerals 86(2): 112-131.